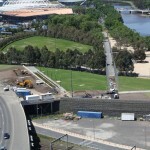 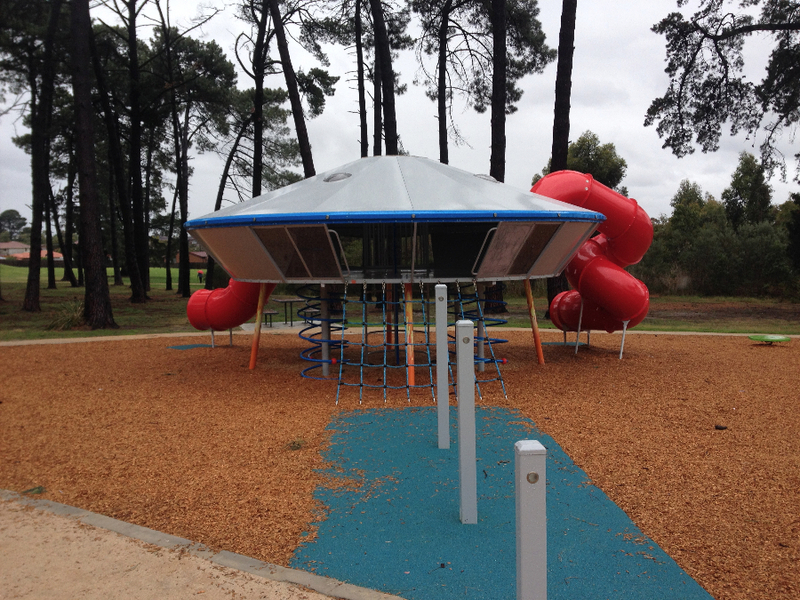 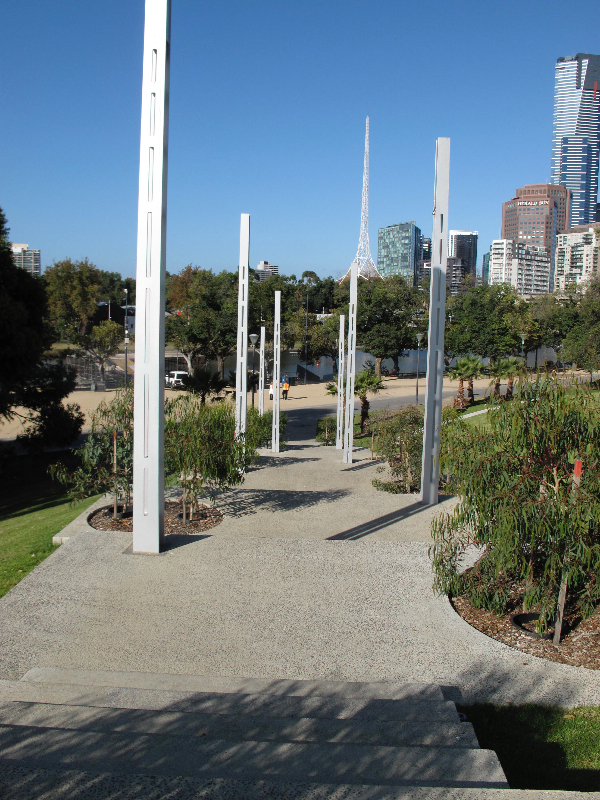 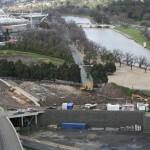 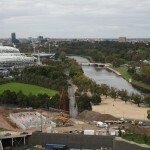 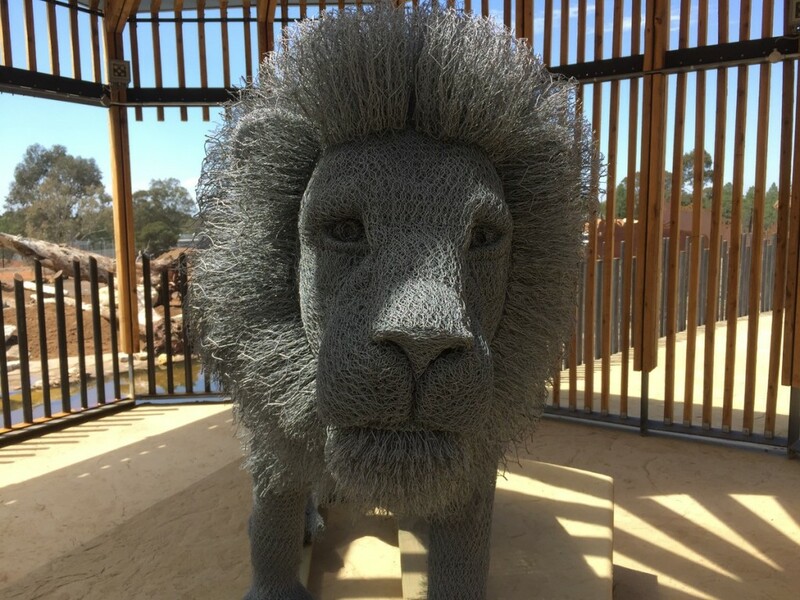 Urban Initiatives are currently giving form to the recent 10 year review of Melbourne’s new riverside park, Birrarung Marr. 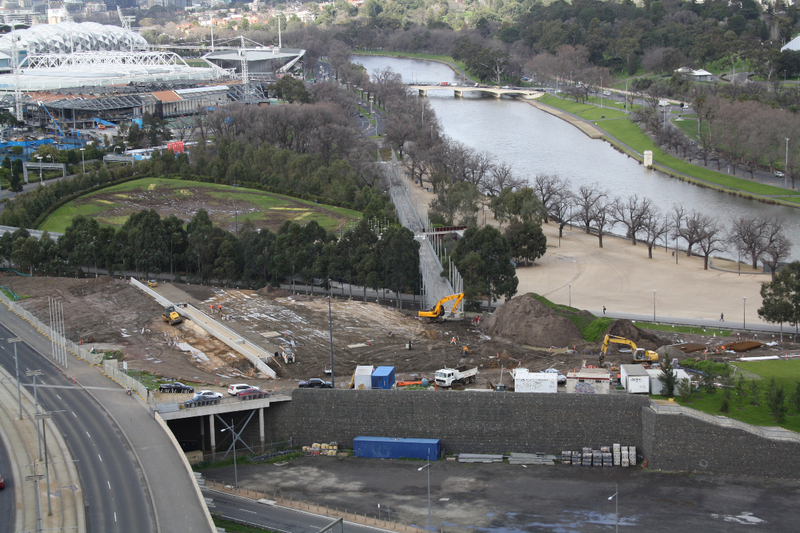 The first stage of these works (recently completed) is the remaking of the Upper Terrace. 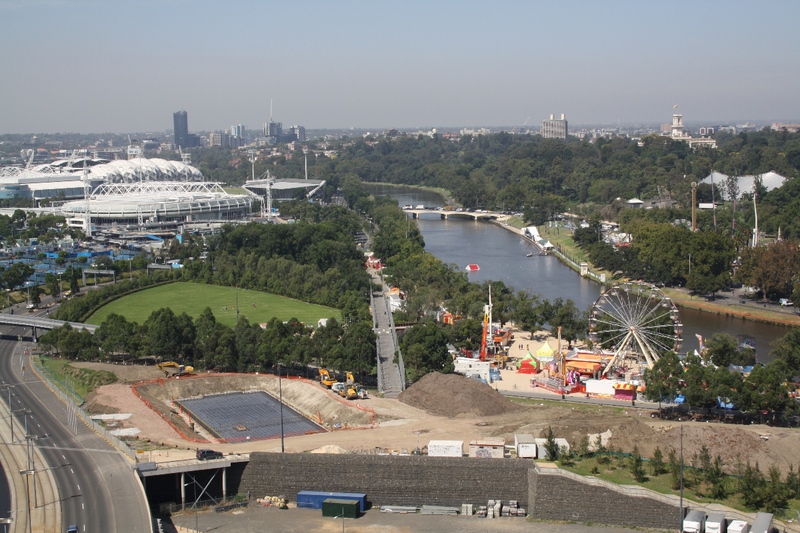 Following the insertion of stormwater harvesting infrastructure, a new landscape has been created over the top of large underground tanks. 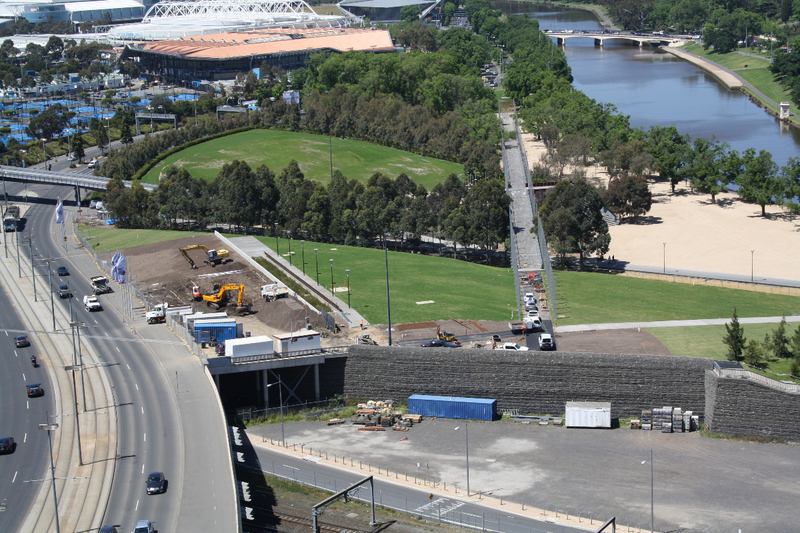 The resulting landscape features a 60 metre long formal terrace and associated bio-filtration bed, extensive new embankment plantings and an elegant stairway connecting the upper and lower terraces. 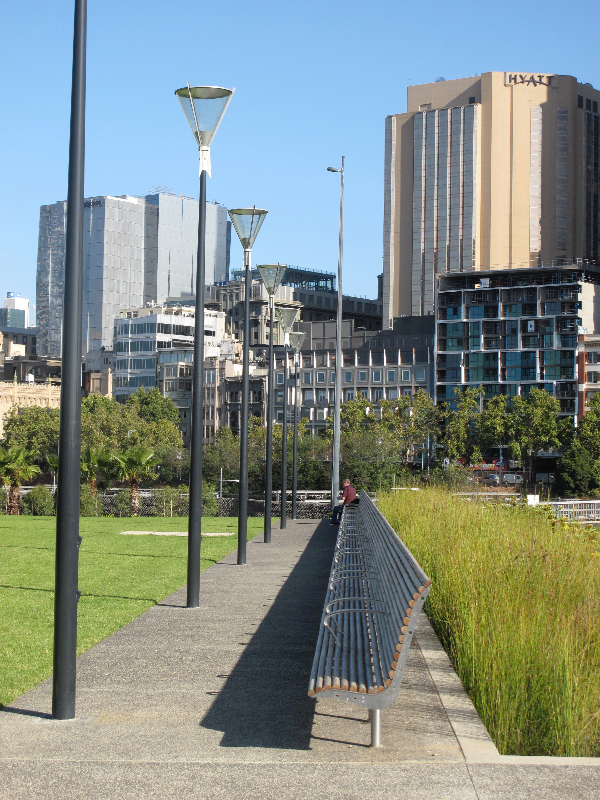 The formal upper terrace plays out as both promenade and viewing platform, offering commanding views of the city, river and gardens below. 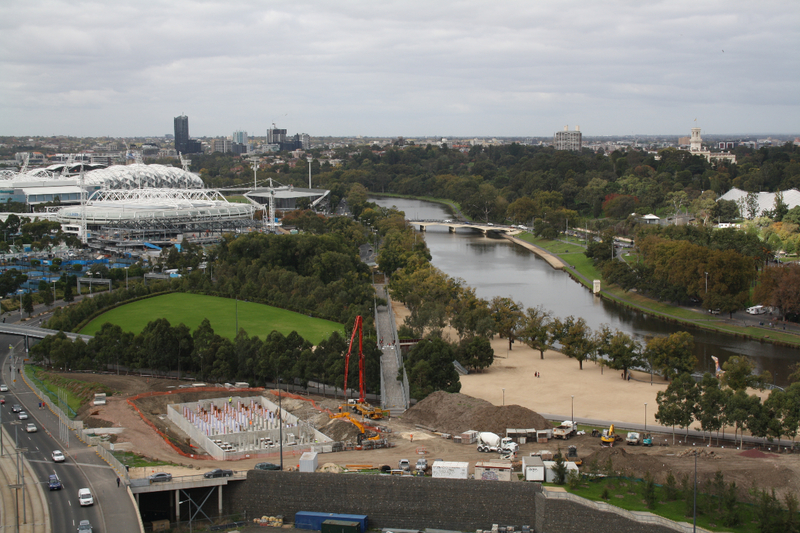 The new stairway adds a critical axis connecting the high ground of the park and the city at Exhibition Street to the riverside terrace below. 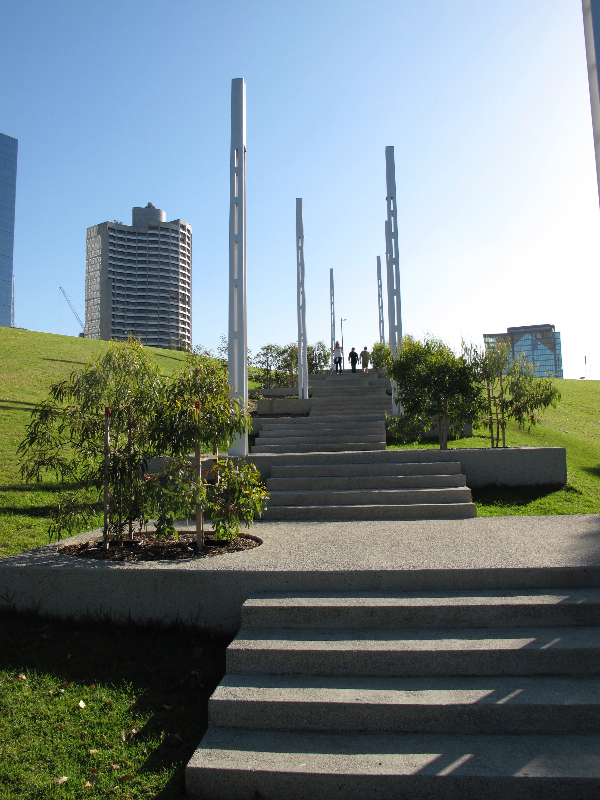 The stairway was conceived as a hillside escarpment where the staggered staircase is punctuated with regular, broad edged, terrace like outcrops, planted with grouped trees. 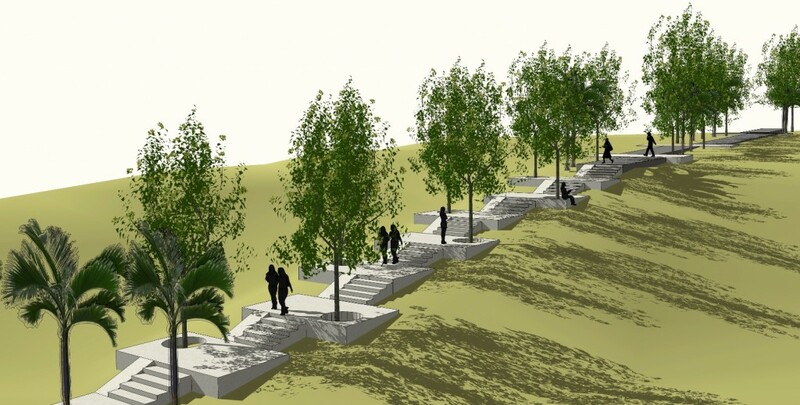 With this form the stairs allow casual occupation of the hillside. 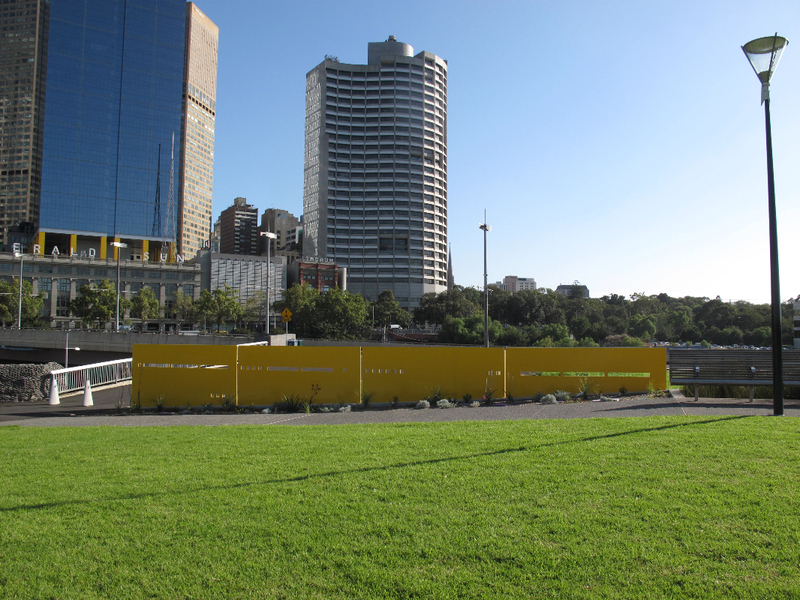 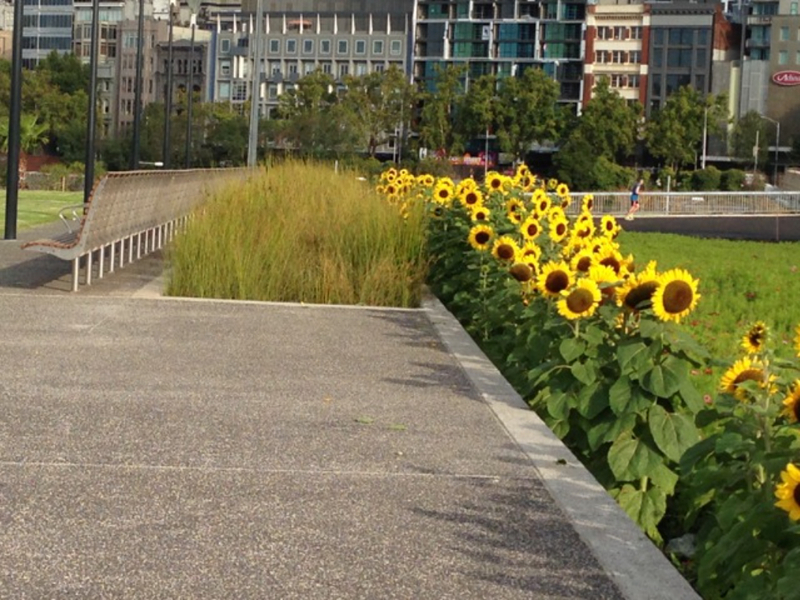 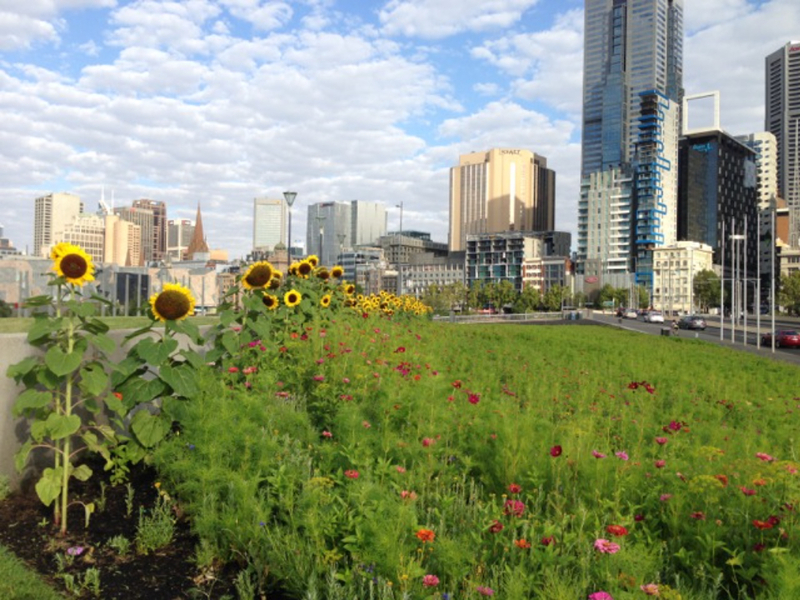 As a gesture to launch the scheme, the City of Melbourne have seeded the wide Exhibition Street embankment with thousands of wildflowers in a temporary horticultural trial.